Looking for kids 7 & under to join our Mini Shock LA Kids Hip Hop Class Series in 2016! HomeLooking for kids 7 & under to join our Mini Shock LA Kids Hip Hop Class Series in 2016! Parents and families – looking for another amazing gift for your little ones? 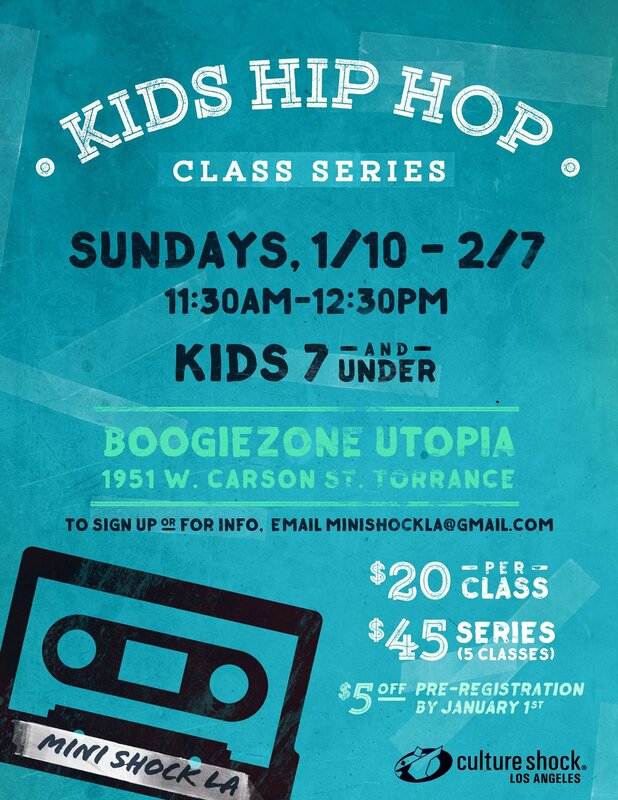 Don’t miss out on Mini Shock LA’s upcoming Kids Hip Hop Class Series for kids 7 and under! Start your kid’s 2016 off with some great music, great moves, and great vibes. It’s all going down at Boogiezone Utopia. Click this post for more info and spread the word to all of the wonderful kids in your life. We hope to see you there! « Why hello there, 2015 – 2016!